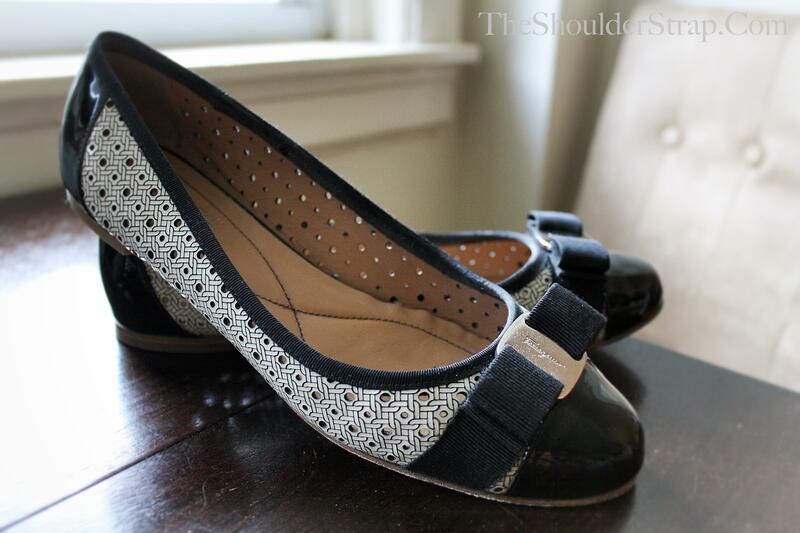 Literally one of the coolest purchases I've made in a while are these lovely Ferragamo ballerina flats! Outfitted in black patent leather with perforated porcelain geometrics, these are instant-classy shoes that can make a casual outfit chic and a dressy outfit incredibly formal. What makes these flats summer-ready is that they're made with perforated leather. Basically your feet get wonderful ventilation; no-sweat flats! I've always compared Ferragamos to bedroom slippers, but this pair truly is the most comfortable I've ever worn. Got new treads for the summer? Want to be featured in a profile post? Send pics and a short description of why you love your shoes to: contact@theshoulderstrap.com.